"With the Giants on a roll to keep up with the rest of the division, on a winning streak of four and knocking two off Arizona, it's hard to see anything else than a San Fran win at 20/21." The AL West is starting to heat up as both Oakland and Houston try to cement their places into the post-season of MLB. The A's are only one game back in the division from the leading Astros after taking the second game of the series 4-3. Unfortunately for Oakland they face southpaw Dallas Keuchel just as he's coming back into form. Being an integral part of Houston's World Series win last year, he hasn't lived up to the standard of being an All-Star, posting an ERA of 3.54. However, since this seasons' All-Star Break, Keuchel has started seven games and has held a 2.98 ERA, whereas starting pitcher Trevor Cahill may be starting to lose his form; in Cahill's last game against Minnesota he gave up five runs off eight hits. Philadelphia are losing their hold on a wild card position after their run of poor form which has seen them lose eight in the last ten. They are now 4.5 games back from the Atlanta Braves in the NL East and 2.5 back from getting a spot into the post-season. Luckily, they can still turn their luck around in the 30-odd games they have left starting with a win against Washington. They've lost the series already but can avoid being swept as the Nats put up Gio Gonzalez as starting pitcher in this game. The right-hander allowed one run in 7 IP against the New York Mets but the Mets are terrible, so I'd discount that and look at the games before. He allowed 13 runs in his two starts before the New York game and has an ERA of 6.25 in his last 15, winning just one game and losing nine others. Philadelphia start Jake Arrieta who has kinder pitching stats since June, posting a 4-3 record and a 3.13 ERA in 10 starts. The Phillies' form has obviously affected their price but 8/11 to win against a pitcher who could easily let in seven is a great price by itself. The National League is absolutely stacked with teams eyeing up post-season success, so much so that for the NL West there's almost no chance you'll end up going via wild card. Right now both Arizona and Colorado Rockies are tied for first in the division, Dodgers are one game behind and the San Francisco Giants are six games behind. This series, which has already been won by the Giants, has narrowed the division by cutting the Diamondbacks lead. Should they sweep the visitors, the Giants will make the NL West even more interesting and close than it already is. 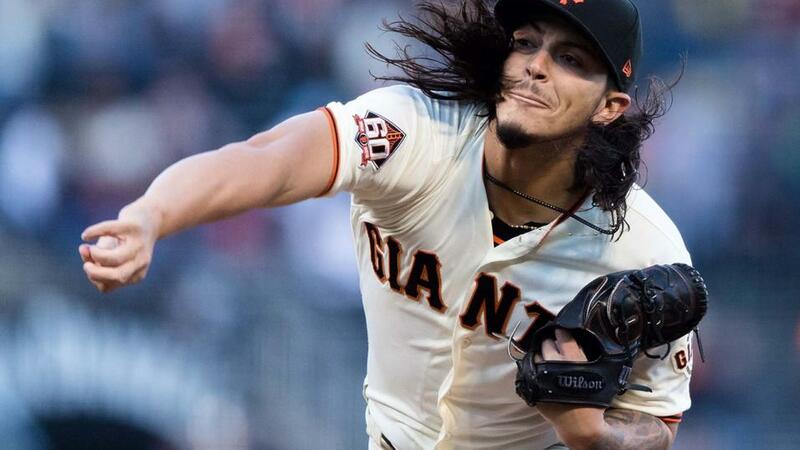 For this match, the Californian side put out National League Rookie of the Year hopeful Dereck Rodriguez. The rookie is 6-1 with a Cy Young-worthy ERA of 2.30, and shows no mercy on the mound; he has not allowed more than two runs in each of his nine outings. The Giants face off Arizona's pitcher Zack Godley who has racked up the wins with a 13-7 record, however he has given up 11 runs in the last 10 innings he has pitched. With the Giants on a roll to keep up with the rest of the division, on a winning streak of four and knocking two off Arizona, it's hard to see anything else than a San Fran win at 20/21. There's also one more bet I can see from this game. San Fran's left fielder Hunter Pence seems to really like playing against Godley this season. In eight at-bats against the D'backs pitcher, Pence has hit two home runs. If you think he can hit a third you can get him at 11/2 or the Home Run / Match Winner Double at 9/1.